Recently I was forwarded to Quirky, a website where designers can submit product ideas and through crowd sourcing, get them funded and made. It's like wikipedia for product design. The power of the interwebs. 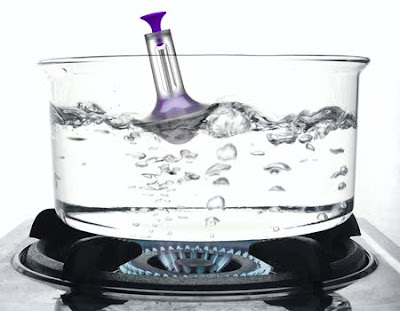 Check out the most recent idea, the Boil Buoy which tells you when your pot of water is sufficiently heated. For $9.99 you can pre-purchase a Boil Buoy which then allows you to get the product along with a share which could eventually earn you money and recoup your costs if the product hits the big time.